BRUSSELS, Belgium -- The European Union is set to roll over until March 15 sanctions targeted against almost 200 Russian and Ukrainian-separatist individuals and firms to maintain pressure on Moscow to fully implement the Minsk ceasefire terms by the end of the year, diplomats said. 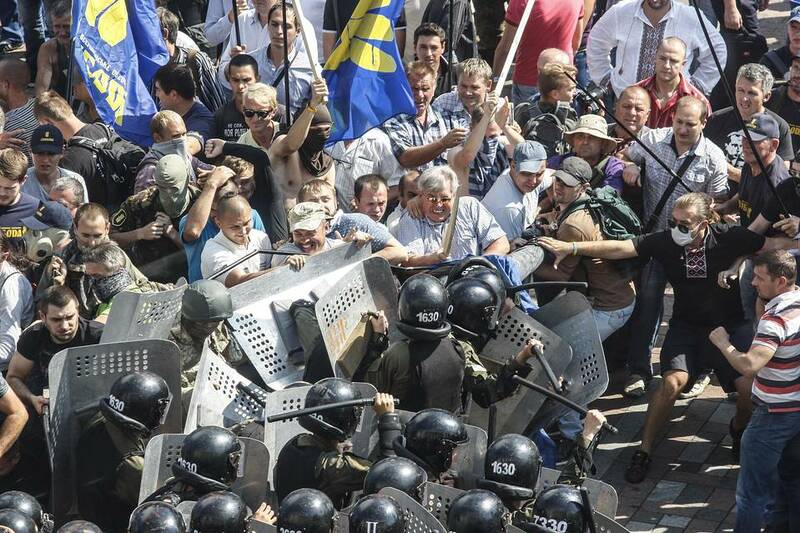 Opponents of changes to the Ukrainian Constitution clash with police in front of Ukrainian Parliament in Kiev on Monday. The decision is expected to be made at a meeting of senior EU officials on Wednesday and should be signed off by ministers in mid-September, the diplomats said. The asset freeze and travel bans were due to expire Sept. 15. The sanctions currently target 151 people, including senior Russian advisors, lawmakers and rebel Ukrainian leaders and officials. Russian President Vladimir Putin and his top ministers weren’t affected. One person on the list has died, the diplomats said, reducing the number of individuals to 150. The Russians targeted include Deputy Prime Ministers Dmitry Kozak, who the EU said was in charge of integrating Crimea into Russia after its March 2014 annexation and Dmitry Rogozin, who publicly called for the seizing of the territory, according to the EU. It also includes Igor Sergun, head of Russia’s main intelligence directorate, and senior Kremlin aide Vladislav Surkov. Also on the list are 37 firms and other entities, including 13 which were confiscated by Moscow during Russia’s annexation of Crimea or which benefited from that move. There had been some discussion of extending the targeted sanctions only until the end of January. Earlier in the year, some EU officials said there could be pressure to reduce the size of the list since the situation in eastern Ukraine had calmed somewhat. However, a clear majority of member states is now behind the six-month extension, the diplomats said. The expected move is the latest sign that despite significant political differences within the bloc over the conflict in Ukraine, the EU’s 28 member states remain united around the need to keep economic pressure on Russian President Vladimir Putin in a critical few months in Ukraine. In June, the EU agreed to extend broader economic sanctions against Russia until January 2016. The EU, the U.S. and other western countries imposed sanctions on Russia for supporting and supplying the separatists. Russia and Ukraine must complete by Dec. 31 implementation of the Feb. 12 cease-fire accord deal, signed and named after in the Belarus capital. 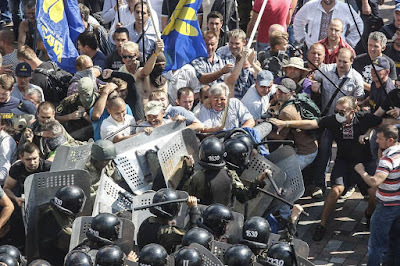 For Ukraine, that means agreeing to broad constitutional reforms to increase autonomy of the eastern regions of the country where the separatists have enjoyed some support. For Russia, that means withdrawing all forces from Ukraine and returning control to Kiev of the Ukrainian side of the border between the two countries. Moscow denies it has any soldiers in Ukraine. In a visit to Brussels last week, Ukrainian President Petro Poroshenko urged the bloc to roll over the sanctions, accusing Russia and the separatists of repeatedly violating the cease-fire. During the latest peak in violence last month, Moscow blamed Kiev, saying Ukrainian forces were preparing a fresh offensive against the rebels.